World Trade Center Barcelona S.A.
All participants will be staying in the Andante Hotel Barcelona. 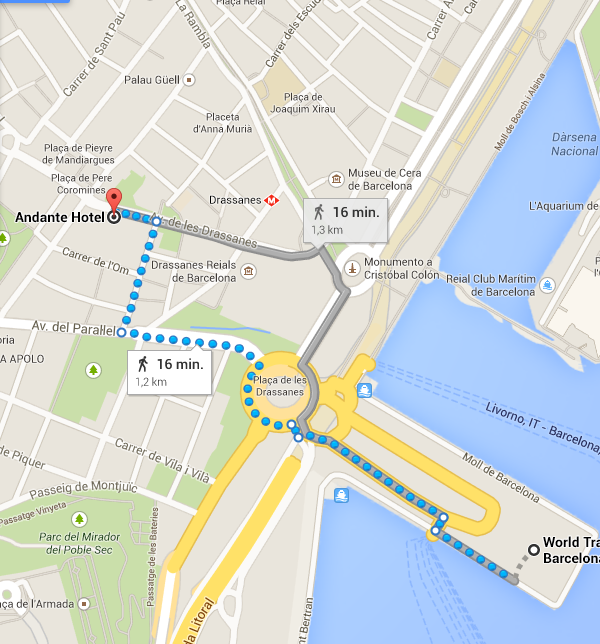 It takes around 15 minutes walking to get from the hotel to the official FYP venue. Please see a map with the walking route below.